Nicky Brett is through to the World Indoor Singles semi-final. 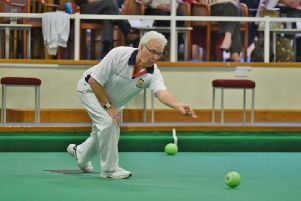 Nicky Brett from Yaxley eased through to the quarter-finals of the World Bowls Indoor Championships with a straight sets win in the second round at Potters Leisure Centre, Norfolk last night (January 20). Brett dominated the first set against Scotsman Jonathan Ross taking it 11-5 before claiming the second set 6-5. Brett, a plumber by trade, will play his quarter-final on Friday (January 23). Brett lost in the semi-finals of the mens’ pairs event - a title he won last year with Ely Bowls Club teammate Greg Harlow- and the quarter-finals of the mixed doubles with Rebecca Field.